Trinity of Bloomington plays fastpitch softball at Valley View Fields in Bloomington. 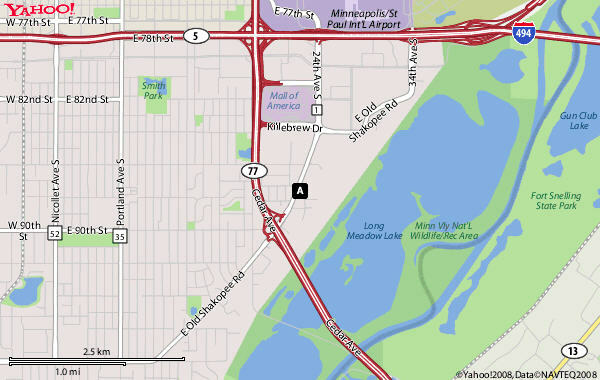 From 494 and 35E follow 494 west to Portland Avenue, go south on Portland to 91th, turn right, and drive into parking lot. You're there. Trinity of Bloomington plays baseball at Bryant Park. Follow 494 to 35W south. Exit 35W at 82nd Street. Turn left on 82nd and drive to Emerson. Take a right on Emerson and drive three blocks. You're there.